New people at FleishmanHillard, MHP, Volvo, Newington, Good Relations, Newgate; new business for Porter Novelli, Aspectus; Adam Clyne launches new firm; and more. LONDON—FleishmanHillard Fishburn has hired senior political advisor Nick DeLuca and former Lib Dem director of communications and chief of staff Tim Snowball (pictured) from PHA Media as head of public affairs in the UK, and Nick DeLuca, who has more than 30 years of experience in politics, campaigning and corporate affairs, as a senior partner. Previously a founding director of Open Road and APCO, DeLuca began his political life in Washington where he worked as an aide to Senator Edward M Kennedy. In addition to his UK role, DeLuca will sit on the agency's international advisory board. LONDON—Adam Clyne, former COO of The LAD Bible Group and ex-head of digital across EMEA for Weber Shandwick, has launched Coolr, a new agency designed to disrupt the world of internal communication and collaboration. Coolr has forged an official partnership with Facebook on its new platform Workplace to help clients plan, deploy and launch it into their organisations. Coolr launches with a team of five, including Samira Khalifa as head of digital. LONDON—Kepak, one of Europe's leading food innovators engaged in processing and marketing a full range of meat proteins, has appointed Porter Novelli London to handle consumer PR and social media management for its Rustlers' microwaveable burger brand. The move builds on Kepak's recent decision to retain Porter Novelli as its corporate affairs agency in Dublin and the agency's London team for brand reputation management support for Rustlers. LONDON—MHP Communications has appointed Nick Barron as deputy CEO. 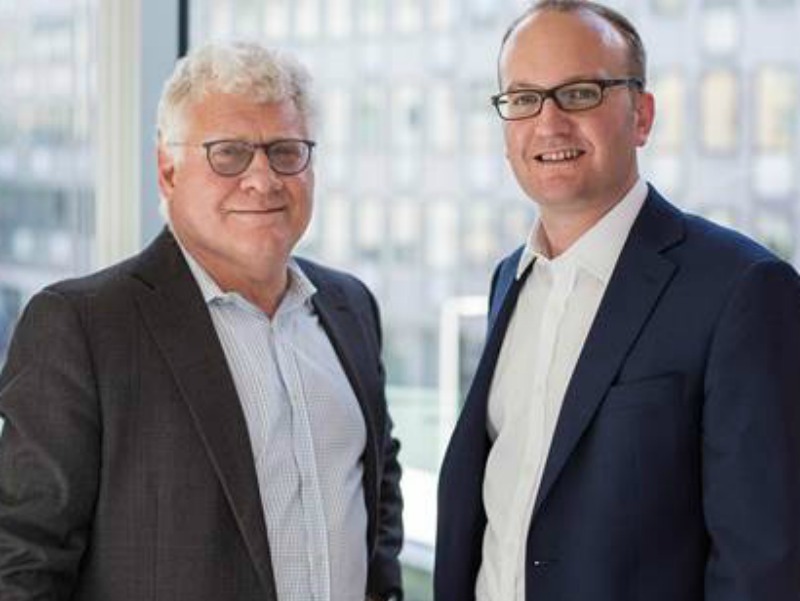 Barron will work closely with CEO Alex Bigg and chairman Julian Hanson-Smith to drive the growth and transformation of the MHP business and oversee the work of the firm's corporate affairs, public affairs and brand teams. He joins MHP from Edelman, where he led its 80-strong corporate reputation team for nearly three years. GÖTEBORG—Kina Wileke has been appointed executive vice president group communications & sustainability affairs at Volvo and will assume this position as of January 1. Wileke is currently senior vice president brand communication and marketing at AB Volvo Penta. Prior to this she held the position as senior vice president external corporate communication at AB Volvo. She replaces Henry Sténson, who will take up a position as senior advisor to Volvo's executive management team. LONDON—Newington is hiring Richard Holden, who has more than a decade's experience in communications, most recently as a media special adviser to Sir Michael Fallon at the Ministry of Defence. He started at Conservative Headquarters in 2007 and worked as deputy head of press for the Conservatives before standing for Parliament in 2015. He will join Newington as an associate director working across a range of corporate communications and public affairs accounts. LONDON—FleishmanHillard Fishburn has won an assignment with Flanders Investment & Trade, the economic development agency for the Belgian region of Flanders, to encourage inward investment and business growth. FleishmanHillard Fishburn will target small and medium-sized British businesses expanding into Europe, particularly in technology-related sectors. The project will focus on media relations and is being led by Ludo Baynham-Herd, account director in the corporate practice. LONDON—Dynamo PR has launched a dedicated team focused on serving artificial intelligence clients. The new team will specialise in servicing clients that are using machine learning to improve their product offerings and has already signed two big players in the machine learning space with Speechmatics, a leader in automatic speech recognition technology, and Stratagem, a company that uses AI to analyse the sports betting market. BUDAPEST—Communications and branding consultancy Capital Communications is debuting a new concept, impact branding, which applies the focus and criteria of impact investing to branding, corporate identity, corporate communications, public affairs, and many other disciplines. Capital has identified the importance of social, environmental, ethical and ecological impact for brands, organizations, and corporations, and the value of a consolidated approach to those issues. LONDON—Good Relations has appointed Maud Rousseau as a director in its property team, to lead and develop the agency’s growing property marketing practice. Maud joins Good Relations with 18 years of experience, including senior corporate communications positions at Veyo The Law Society, Rightmove.co.uk, Chime plc and FutureBrand. HELSINKI—Kaisa Uurasmaa has been appointed head of investor relations and corporate social responsibility at media and learning company Sanoma. Uurasmaa joins Sanoma from Huhtamäki Oyj where she has been responsible for Investor Relations since 2014. Her previous work experience includes financial and sustainability communications consulting as well as several roles in corporate treasury in both listed and non-listed companies. LONDON—EuroFinance has chosen Aspectus, the global communications agency serving the financial services, energy and technology sectors, to run media relations for its International Treasury and Cash Management Conference for the second consecutive year. BRUSSELS—Euroclear, one of the world's largest providers of post-trade processing for bond, equity, ETF and mutual fund transactions, has appointed Guillaume Eliet as head of regulatory, compliance and public affairs, a new division designed to strengthen and provide one holistic policy strategy across the Euroclear group. Eliet was previously at the French Stock Market Authority, the Autorité des marchés financiers, heading the regulation policy and international affairs division. LONDON—Jargon PR has been appointed by international mobile payments service provider Tola Mobile to spearhead its media relations campaign and increase brand awareness across Europe and Africa. Jargon's content-focused campaign aims to raise the profile of Tola Mobile and its alternative payment services throughout the African and European business and technology press. MANCHESTER—Ray and Jonathan Sherlock have secured a £100,000 investment to further support the expansion plans of their Manchester based social media and influencer agency Engage Hub. The brothers have secured funds from the Northern Powerhouse Investment Fund to provide Engage Hub with the working capital needed to fast track its economic growth and productivity and propel the company forward to a world stage. LONDON—Newgate Communications has appointed Neil Kleiner as a partner and as head of the company's digital and social media offering in the UK. Neil will also work with Porta-owned sister agency Publicasity, and will be based in London. Kleiner was most recently head of social and content for Golin, and led social media in the UK for Havas Media. GREAT MARLINGS—Technical Associates Group, a global deep tech communications agency, has appointed two new account managers to its UK based team. Maria Alonso joins the PR arm of the agency with over seven years’ experience in international PR, and Meike Pottgens joins the advertising team and brings with her five years of B2B marketing experience. LONDON—Email subscription newsletter Jack's Flight Club , which notifies subscribers of cheap flights and airline mistake fares, has appointed travel specialist Turtle PR to maximise exposure for the brand in the UK media and beyond. LONDON—Corporate, technology and healthcare communications agency firstlight has made three senior promotions. Sam Bevans and Anna Price from the corporate team, and Grant Fisher from the healthcare team have been promoted to director.